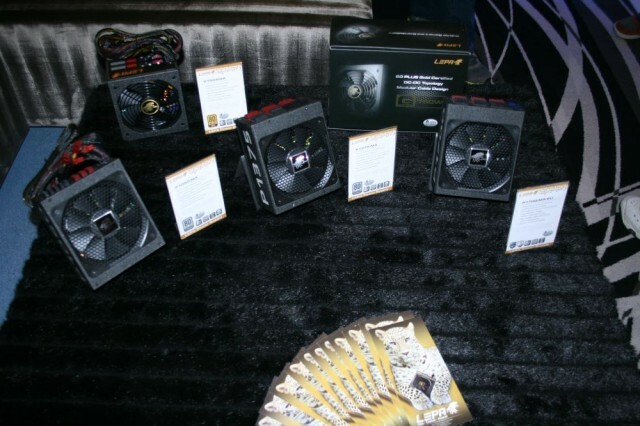 Shortly after arriving in Las Vegas on Tuesday afternoon, we paid a visit to Enermax’s suite at the beautiful Aria Resort. 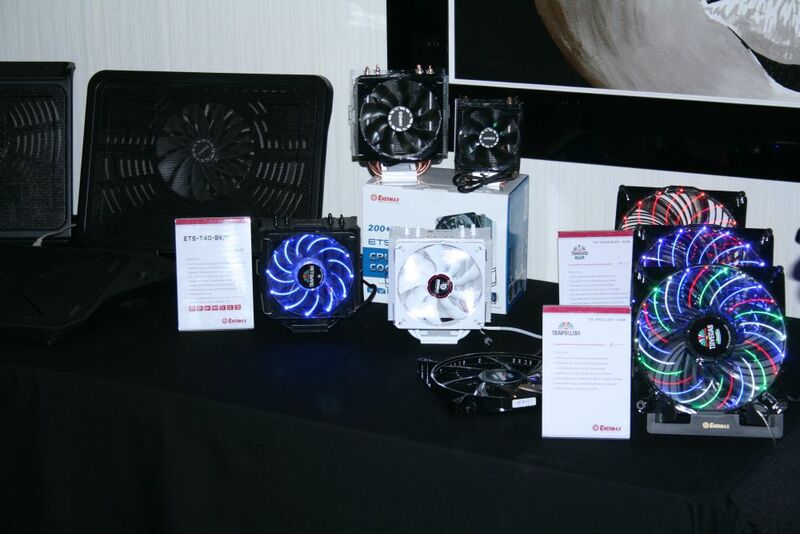 On display were of course power supplies, fans and cases of all colors, shapes and sizes. It was actually quite fitting seeing multicolored flashing, pulsating LED lights, as it reminded of old school Las Vegas neon signs (perhaps why the product line has Vegas in the name). 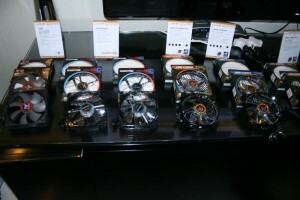 All of the Enermax fans are magnet bearing, not ball or sleeve bearing. This allows for easy cleanup of the blades without spraying dust all over the place with compressed air or digging awkwardly into the fan to try and remove dirt. 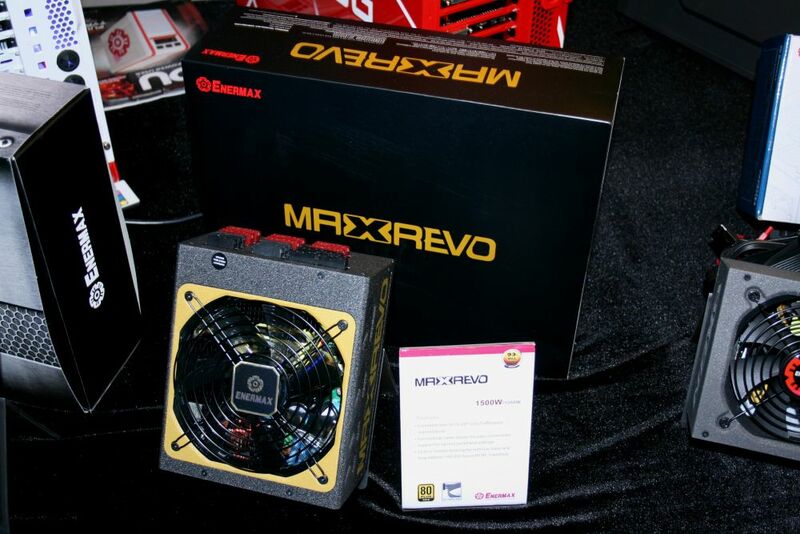 Perhaps the best part is that there is much less friction associated with the Enermax magnet bearing, which seems to reduce noise level substantially (although it was hard to tell in a room full of fans). 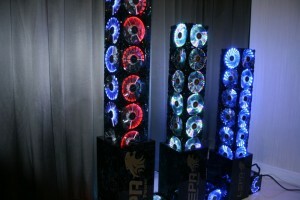 Another cool concept is the U.R. 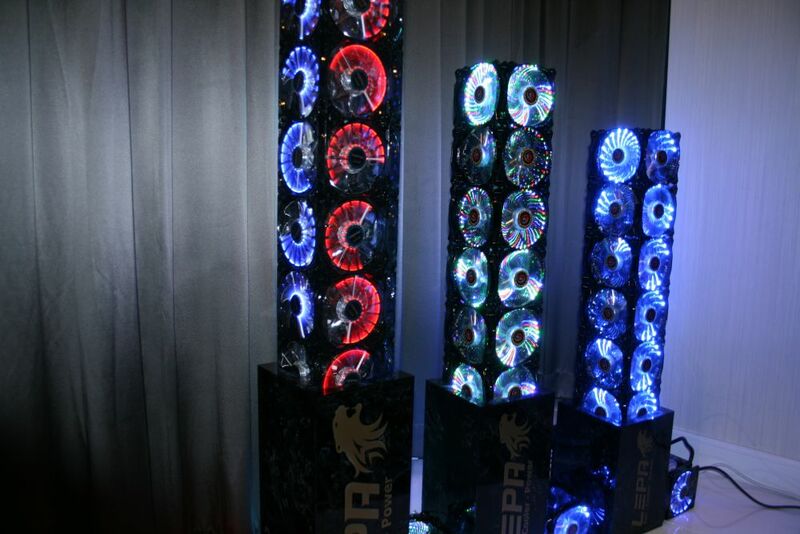 Vegas USB fan. It has all the same features of the other Enermax fans, including of course flashy lights, but users can attach it to their case anywhere magnetically. 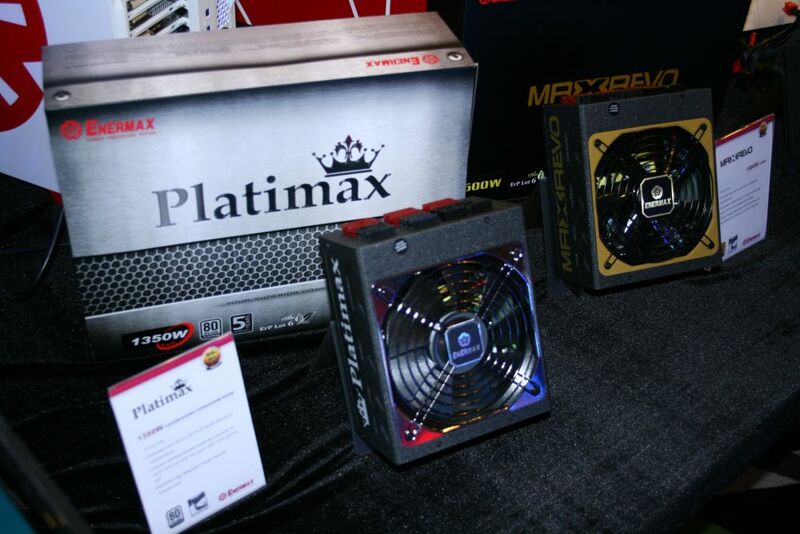 Powerful magnets are used in place of screws to attach the fan anywhere on your case, even on the outside. 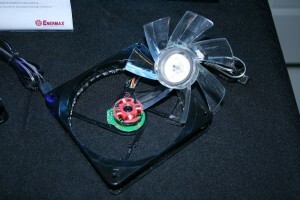 This could be useful for smaller form factors or when cramming in radiators where they just don’t belong, attach the fan outside the case to save space inside for other components. Several new power supplies will be released over the next few months. The most notable feature will be the flat black cables. 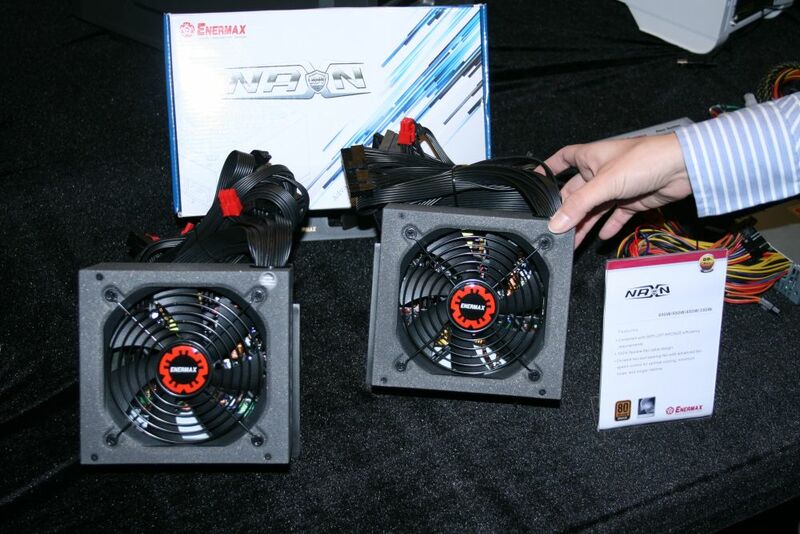 This allows for easier cable management and a more neutral color scheme (especially important for case modders). 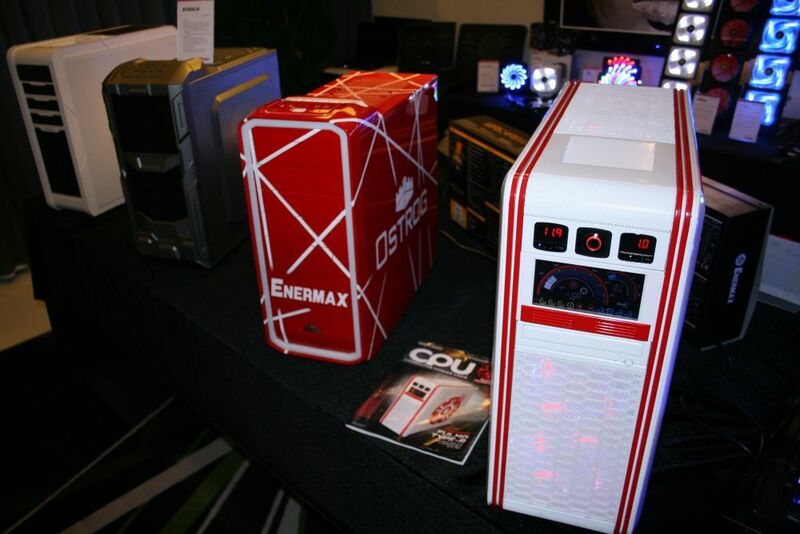 Enermax has two new cases planned for early 2013. They are still a few months away but appear to have the features that one would expect, including removable drive bays, easy locking 5.25″ drives (which we were able to test out), USB 3.0 bays and hot swap on top of the case. 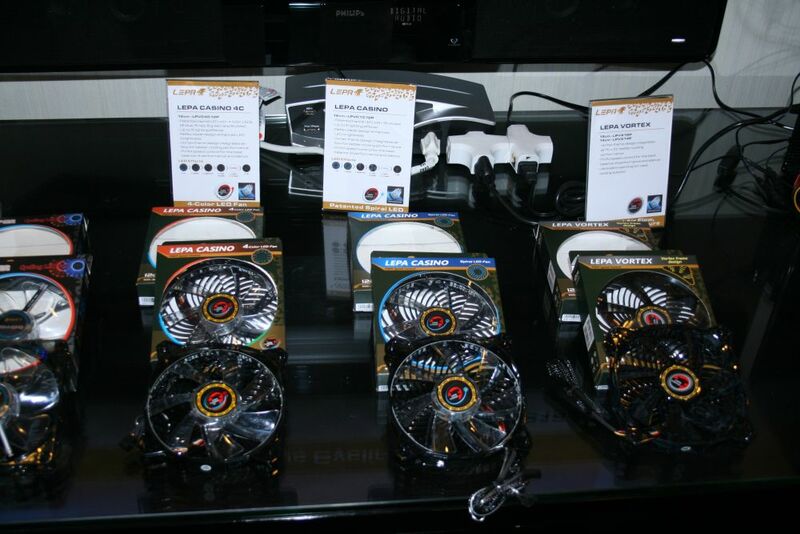 Falling under the Ecomaster umbrella is a new brand called LEPA, which was launched in 2011, marketing their own line of power supplies and fans. 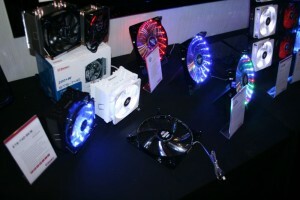 The fans on display had similar lighting effects as their Enermax counterparts. 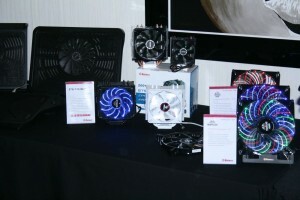 There were several vortex fans, similar to Silverstone AP series (air channeling fans), which channels air in a column instead of outward in several directions. 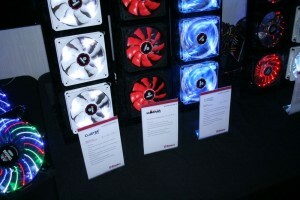 In theory, this channeled air column provides superior cooling performance when compared to standard fans. 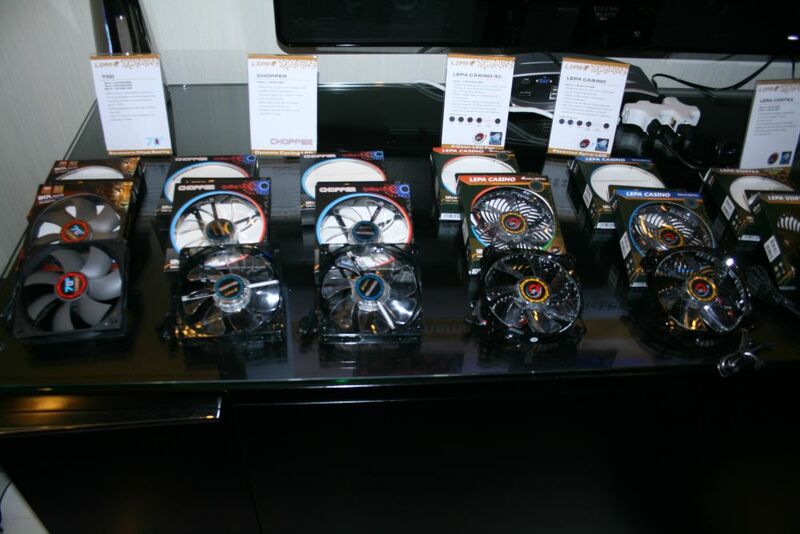 For more updates, stay tuned to the frontpage or our live update article/Twitter feed.